There are many homeowners in Texas who are forced to call for San Antonio foundation repair as a result of problems with their home foundations. This is due in large part to the clay soil that many homes in the area are built on. The soil will often fill with water over time and then dry out, which will ultimately cause your home’s foundation to sink. You will need to have a company that does foundation repair serving San Antonio to help you with it. Check out some other things you should know about your home’s foundation. Clay soil is just one of the things that can cause the need for foundation repair. You may also need to have foundation repair done if you have a concrete slab foundation that was not installed properly. 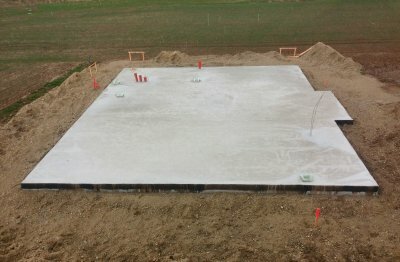 A concrete slab foundation should be laid on top of limestone to avoid issues. If a contractor doesn’t put it on top of limestone or fails to prepare the site of your home properly by removing loose soil and tree roots, your foundation may shift or sink in the future. If you have a foundation problem, you will be able to identify it by looking for the signs of one. Cracks in interior and exterior walls, unlevel floors, and sticky windows and doors are just a few of the signs that will indicate the need for foundation repair. As your foundation shifts, your home will have trouble keeping up with it and will begin to show these signs on the inside and outside of your house. One of the most effective ways to fix a faulty foundation is to install a pier and beam foundation . Piers will be driven down to the hard rock deep below your home and beams will be used to connect the piers and hold your home up. It’s an effective way to deal with any foundation issues you may encounter. Draining water away from your home can also prevent further problems in the future.